Today's recipe has more ingredients than the peanut butter ones but they taste (yes, I ate a couple!) so flavorful. These are considered savory biscuits but don't actually taste salty. 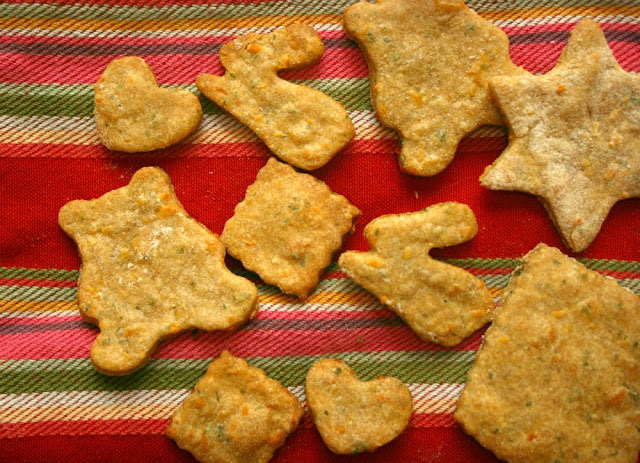 These biscuits do contain garlic and if you perform a search online, you'll find that there's some controversy as to whether garlic is safe to feed to dogs. The general consensus is that it IS safe provided that it is given in small doses. You can read more information about it here. I think you would know your dog the best so use your own judgement as to whether to leave this ingredient in or out of this recipe. 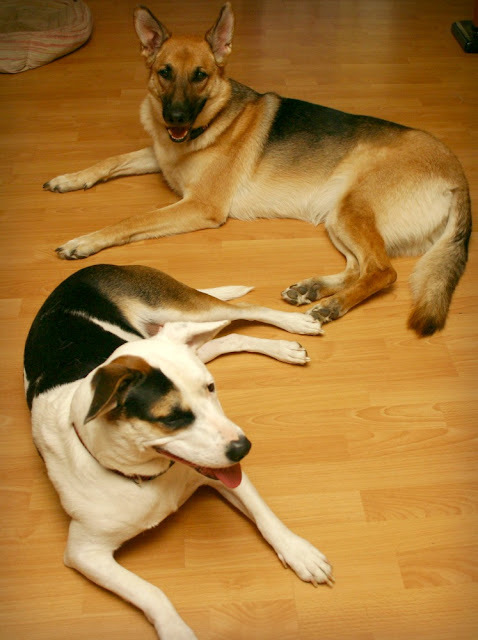 Both my dogs do not have any issues with eating garlic as I feed them a dietary supplement called Brewer's Yeast with Garlic about 3 times a week as it is. I feel that the health benefits of garlic far outweigh its disadvantages as garlic has been proven to boost a dog's immune system as well as improve liver function, repel fleas and ticks, fight infections and more. 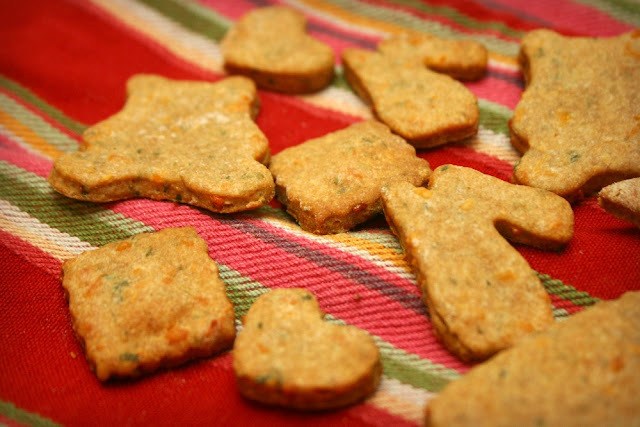 This recipe also contains parsley which is a good combatant of bad doggie breath. 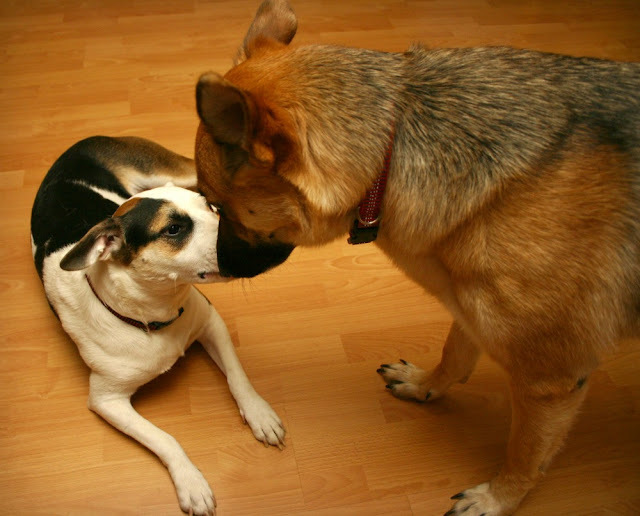 (My German Shepherd needs it badly.) 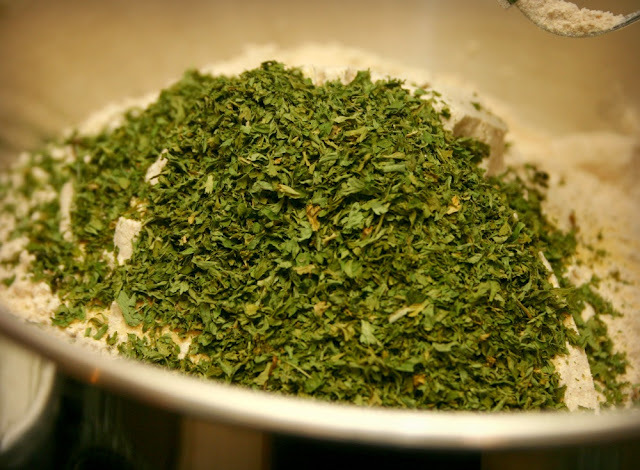 Again, if you prefer a less herb-ish biscuit, you can reduce the amount used or leave it out of the recipe. Be forewarned, this recipe makes a BIG batch of dough. You can either halve the recipe or freeze what you don't end up baking for another time. 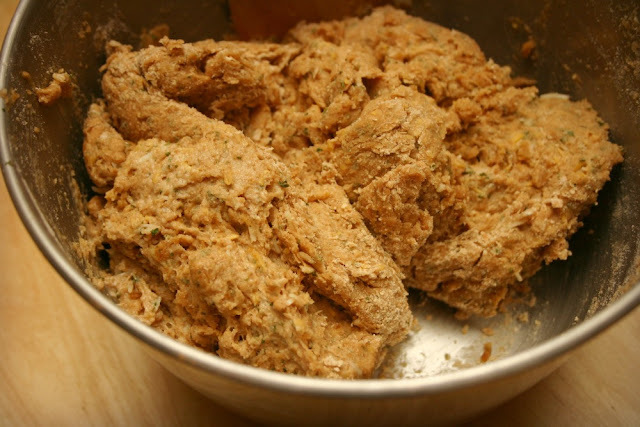 Makes over 50 - 60 small to medium biscuits. Optional: 2 tablespoons of fine bacon bits. 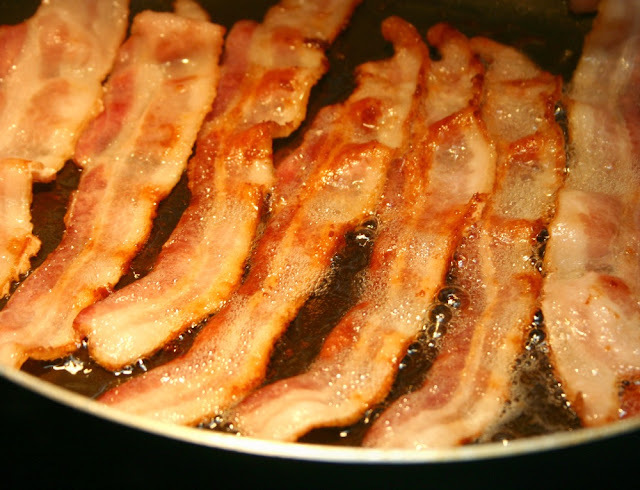 Cook up the bacon for yourself and your family. Reserve the drippings. 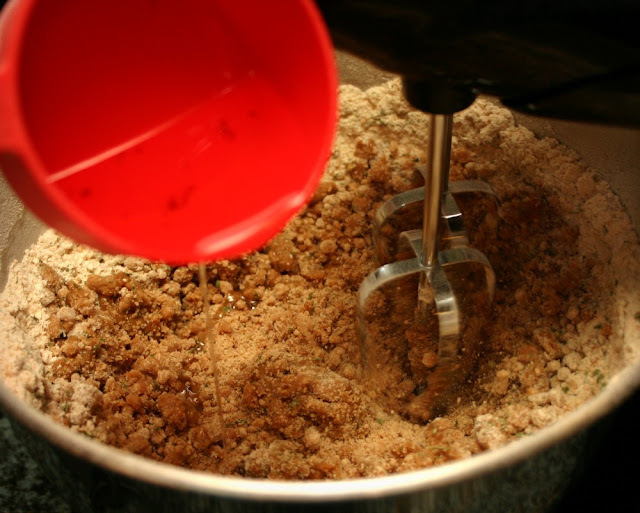 Run the mixer on low to mix the dry ingredients together. With the mixer running, add the bacon fat and vegetable oil. 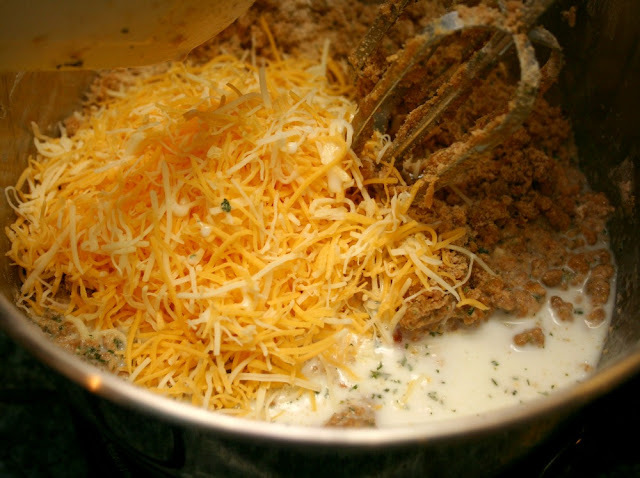 Lastly, add the shredded cheese and milk. The dough should come together in a stiff mass. 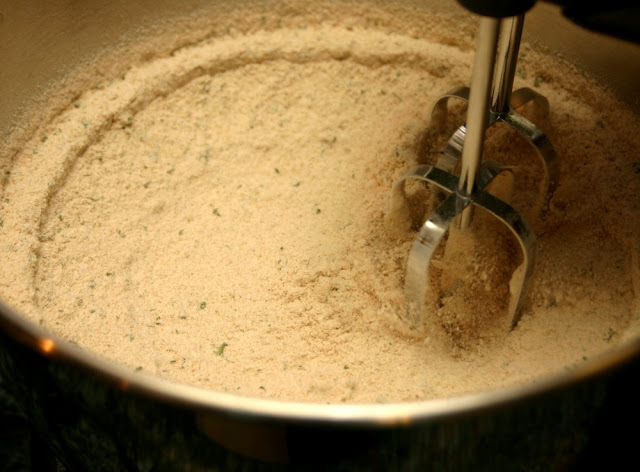 If it's a little too wet, add additional flour by the tablespoon until you get the right consistency. 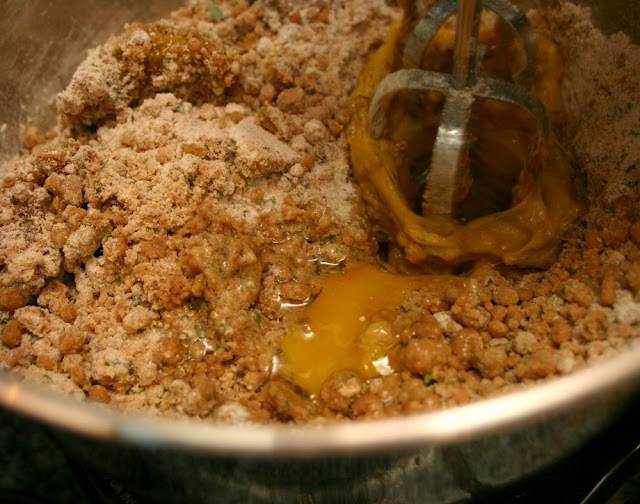 Vice versa, if the dough is too dry, add more milk by the tablespoon until it holds together. You want a stiff dough that is not too sticky to work with. 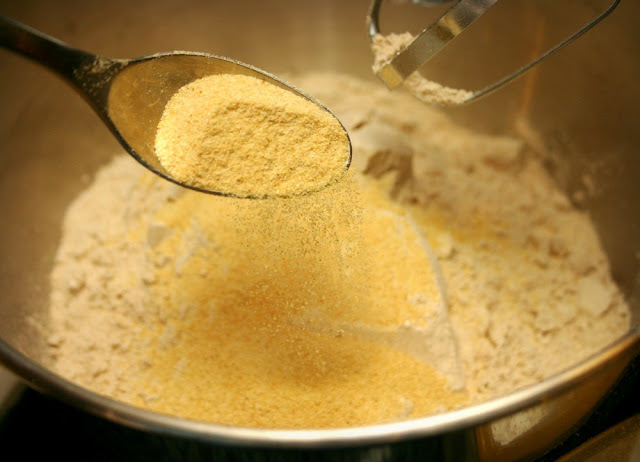 Divide the dough into three portions and turn one of the portions out onto a well floured surface. Flour your hands well and knead it a few times. 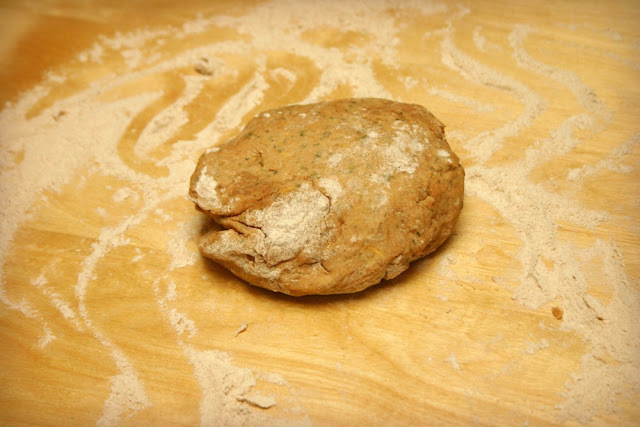 Using a floured rolling pin, roll the dough ball out to about at least 1/8" to 1/4" thickness. 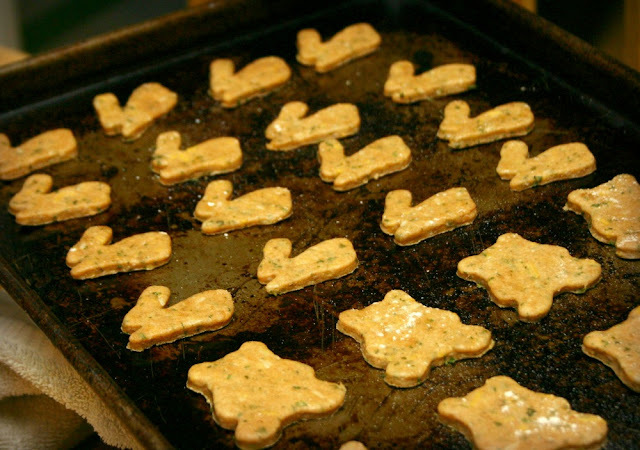 Cut the dough out into fun shapes, place on a cookie sheet that has been sprayed with cooking spray and bake in the oven for about 20 to 25 minutes, depending on size and thickness of the biscuits. When the biscuits are done, transfer them to a wire rack and allow to cool entirely before storing. 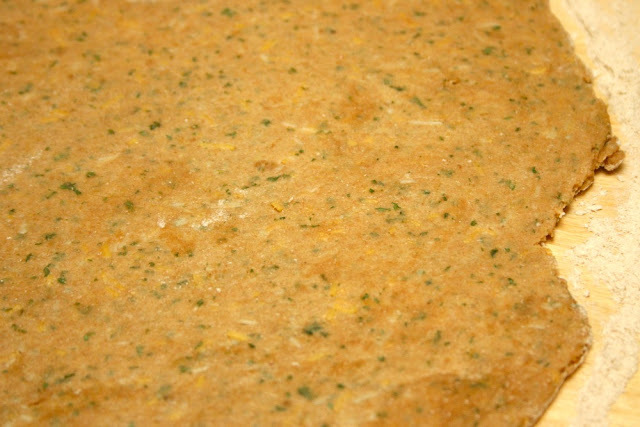 Repeat process with the remaining dough or store the dough in the freezer for future use. 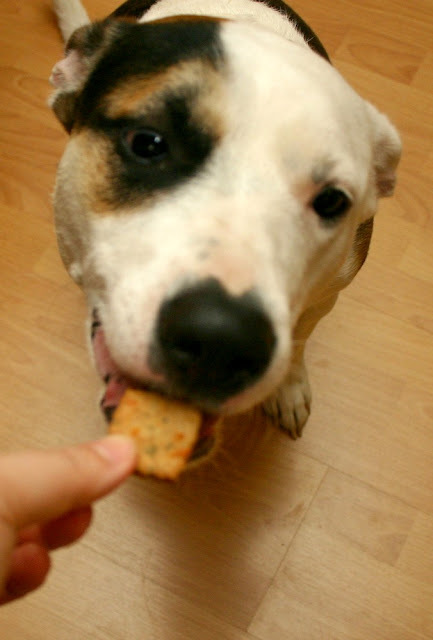 These biscuits are VERY crunchy when they're baked up which doggies love! "Do you smell the biscuits? Did you eat one? Let me investigate!" Finally, the patience pays off. This sounds good enough for me too! 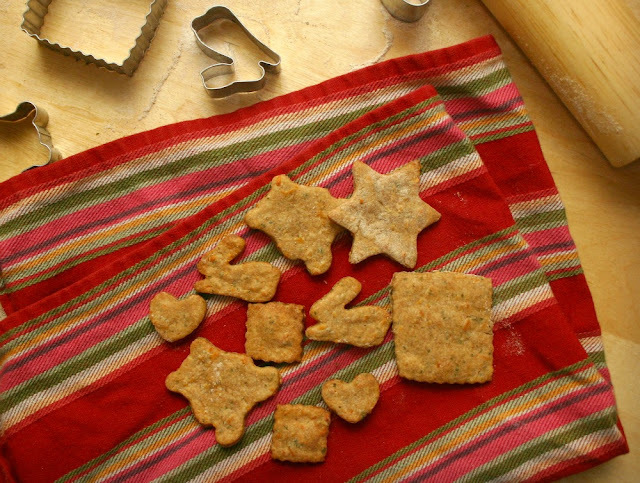 Thanks for the recipe will try baking it for my doggies!